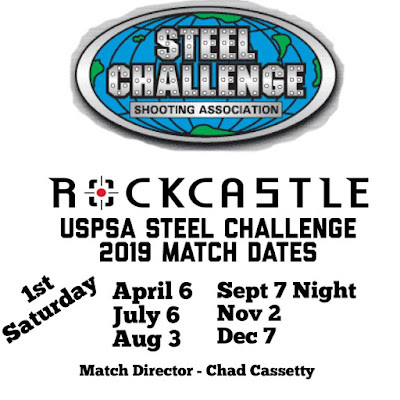 The 2019 Steel Challenge Schedule is Up! We couldn't get every month this year, as the event calendar was already jam-packed. I am hopeful that next year will be every month, but that will also depend on the turnout we get this season, so come shoot the ROCK with us! Each match will include at least two classifier stages, so if you're a USPSA member you can earn your shooter classification. The September date is a night shoot that will require a handheld or weapon-mounted light to compete. This is not a sanctioned event and will not include any official stages; it is a fun shoot. Five stages, five shots fired in five strings means a minimum round count of 125. This will be the same for every match. At this time, it appears match fees will be $20 for the first division and $10 for a second division if you wish to do that. Rockcastle Shooting Center members will get $5 discounts off both. I am working on a reduced entry fee for junior shooters as well. 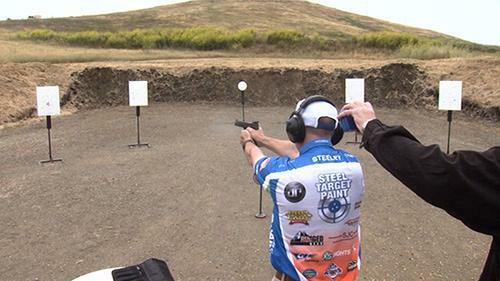 Classifications are a way to allow USPSA members to see how they stack up against other members and allows them to compete against competitors with similar skill levels, instead of shooting against everyone. When becoming a member of USPSA, it’s important to understand classifications. Your classification is what ensures that score-wise, you are shooting against competitors of your same skill level. There are 7 classifications of shooters: U, D, C, B, A, M, and GM. Classifications are earned by shooting classifier stages at a match. Typically, a local club-level match will have one standard classifier stage along with their own stage designs. 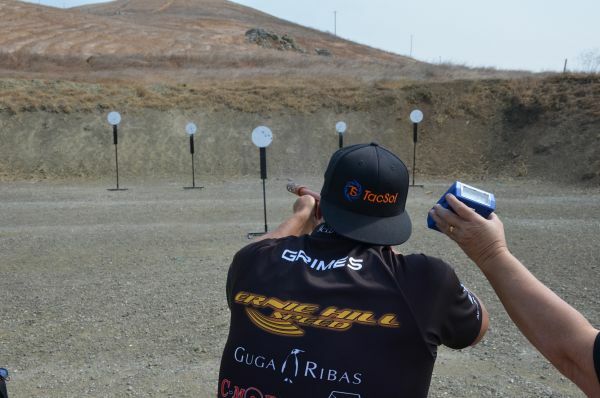 Classifiers are created by the USPSA and must be carefully set up at each match to ensure that when you shoot the classifier, you’re shooting the exact same stage (target distances and placement) as everyone else. Otherwise, it would be difficult to assign a National classification without a baseline performance. When initially joining (classification is only available to members) you will be an Unclassified shooter in all Divisions. If Production Division is your game, then once you have completed four different classifiers, your average will be computed. If you’re a C class shooter, then when viewing the match results you’d be interested in where you placed among C shooters in Production, instead of just seeing where you placed overall in the division. Each division has its own classification so you can be a U in one class, a C in another, etc. To earn an initial classification, your four best classifiers in that division are used. After an initial classification has been earned, your best six of the last eight classifiers are used to perform the ongoing calculations. Unclassified. The member has not shot enough classifiers in that division to have earned a classification. D – 2% to 40% performance average against other shooters nationally. Rarely, a club will host a special Classifier match where all the stages are classifiers. 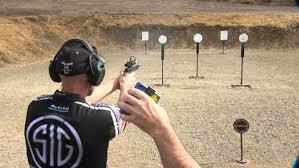 This is a quick way for a new shooter to earn an initial classification. Shooting classifiers is typically a source of stress for me but earning a new classification, either in a new-to-you division or bumping up to the next class is a joyous occasion! I've been asked, "I only have X type of gun. Can I shoot in Steel Challenge?". If it's practically ANY handgun or rifle that shoots a handgun caliber, then yes, there's a division for you! Let's start by talking about Divisions. CO - Carry Optics This basically means an everyday carry pistol that may have a low-profile red dot on it. ISR - Iron Sight Revolver A centerfire revolver with no special optical sights. OSR - Optical Sight Revolver This is for the same revolver mentioned in ISR, but with a red dot or other types of optical aiming device. PROD - Production This is where most double-action or striker-fired semi-auto centerfire handguns fall. Note this will be for guns that are NOT single action like a 1911; those go in the Single Stack division. RFPI - Rimfire Pistol Iron Here's your .22LR pistols with iron sights. Don't even need a holster, but I recommend having more than a couple of magazines! RFPO - Rimfire Pistol Open Same as above, but allows optical sights and compensators. RFRI - Rimfire Rifle Iron Sights .22LR rifles, such as Ruger's 10/22, are the most popular choice. RFRO - Rimfire Rifle Open - Same as above, but with optical sights and compensators allowed. SS - Single Stack This is a category custom-made for single-action only, single-stack magazine 1911s. So you see, there's plenty of divisions you can shoot in! Steel Challenge is in the works! I am hopeful we'll have something in place by Spring. The goal will be to produce monthly Steel Challenge matches sanctioned by USPSA/SCSA at Rockcastle Shooting Center located in Park City, KY. The only way we'll pull this off is by generating support for bringing this shooting discipline to the area. Right now, if a shooter wanted to compete in a sanctioned match and get nationally ranked, he'd have to drive at least two hours away! Please Like and Share on social media so your shooting friends will find out about us also! We need to raise awareness that this match is coming to the area.